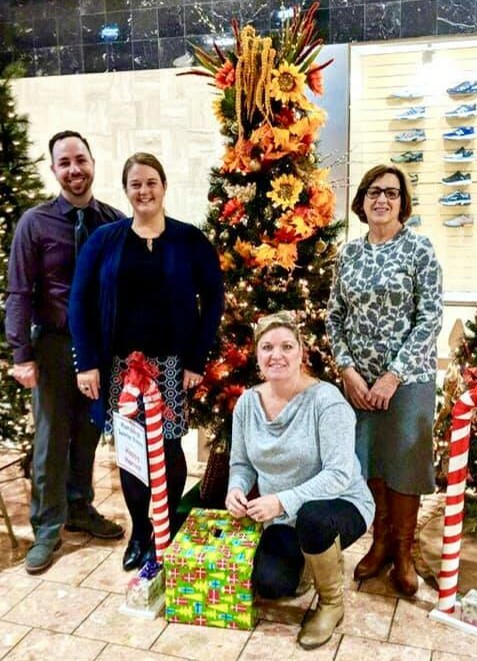 Members of the Sunrise Rotary Club of Plattsburgh joined together to help give back to the community by volunteering at several annual holiday events in 2018. On November 20th Sunrise Rotarians trimmed a holiday tree, sponsored by the club, to help support the Advocacy Resource Center of Clinton County NY (ARC). Currently over 500 individuals and their families benefit from the wide variety of services provided by ARC, such as vocational programs, community integration, therapeutic intervention and residential options. This year's theme, 'Happy Harvest' was awarded third place by the judges for creativity. At several times throughout the year Sunrise Rotarians volunteer at the St. Peter's Soup Kitchen, and on December 11th evening, nine club members helped to serve dinner at the soup kitchen at Seton Academy. In December, Sunrise Rotary also donated $1,000 to the St. Peter's Soup Kitchen to provide additional support to local families in need. 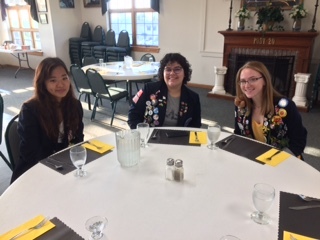 Mire Nishamora, our inbound exchange student from Japan, was at the August 28 Sunrise Club breakfast meeting and met many of the members. She will be attending Beekmantown School District. We look forward to her introductory presentation to the club. Leticia Torres arrived from Brazil on August 22nd and is well settled with her first host family, Ann and Stephen Waite in the Peru School District. They were happy to attend last week's Noon Club meeting and meet many of the members. I encourage committee chairs to contact me if they can include Mire and Leticia in any club events. The plan is to allow us to get to know them better through our many service projects. Many Thanks to the members who have completed all the paperwork to become drivers/volunteers for the youth exchange program. A few of those who signed up still have missing documents and should look for details via email from me. 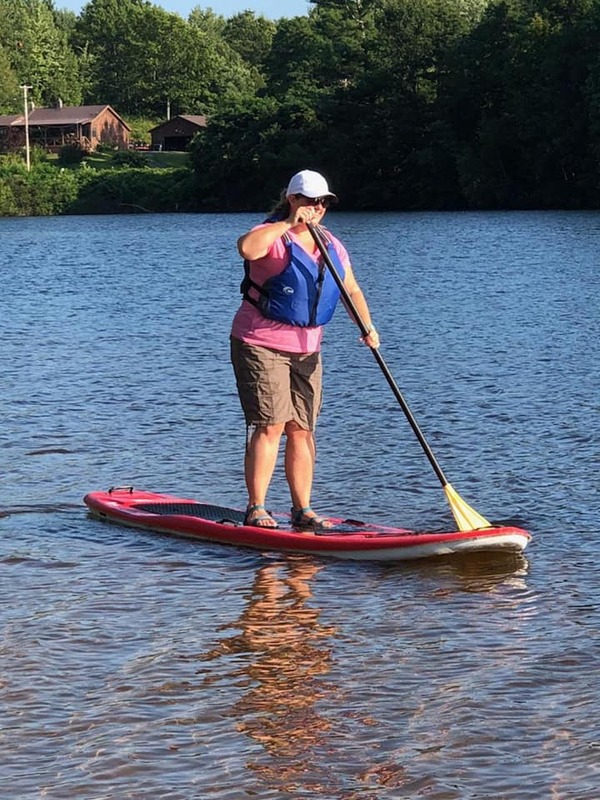 Andrea Clark is now co-chair of the program and is currently in charge of marketing and recruiting new host families and next year's exchange candidates. She will be arranging for some information events in the area, looking for venues etc. Please contact her with any ideas you may have. New exchange student candidates for both the short term and long term programs (2018-2019) should apply no later than October 15. We are in need of at least one more host family living in the Peru School district. Leticia should go to a new family in December and we would like to have this taken care of by the end of October. On Tuesday, September 4th, Ashtyn Moore will speak at the Sunrise Rotary about her experience in Denmark. Please think about attending to support her. The meeting is at the American Legion on the Quarry Road at 7:30 am. 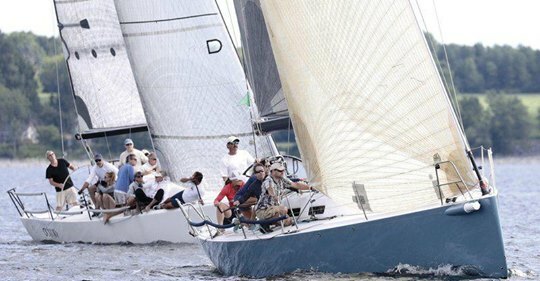 The Mayor’s Cup Regatta returned on July 7th as the signature event of the Mayor's Cup Regatta and Festival, Plattsburgh's most time-honored and highly anticipated summer tradition on Lake Champlain. 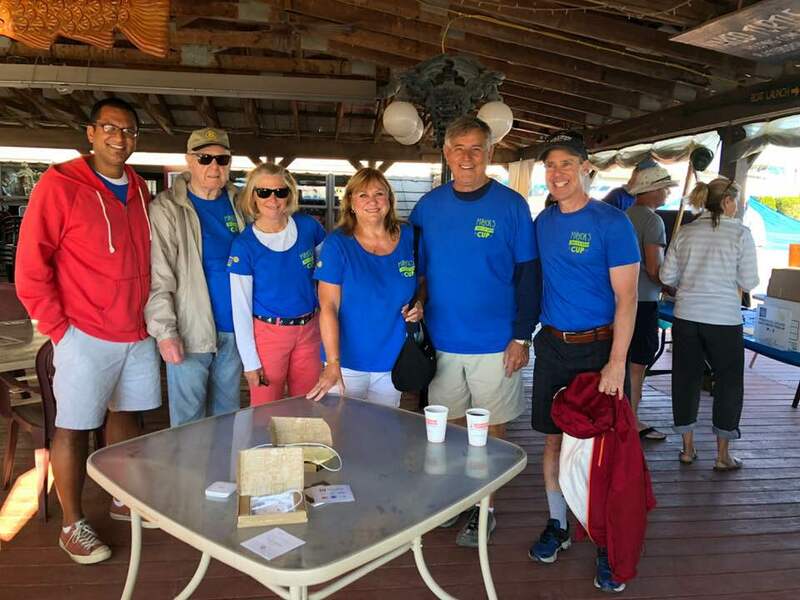 Sunrise Rotarian Kjell Dahlen has organized and managed the sailing regatta for the past 26 years. Sunrise Rotarian Jeff Prescott managed the registration station for the regatta, and the BBQ and awards ceremony for the second straight-year. 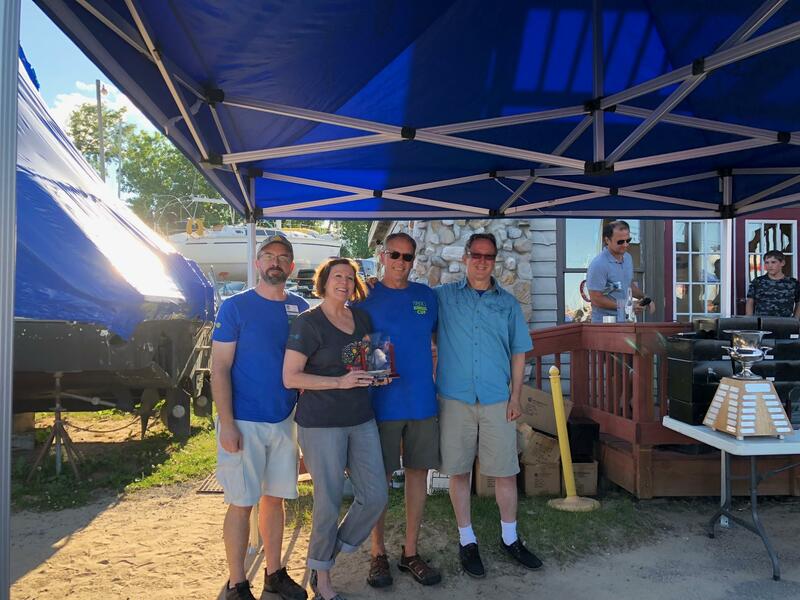 Many fellow Rotarians were on hand helping with sailor's registration, selling T-shirts and BBQ tickets and assisting with the awards ceremony. 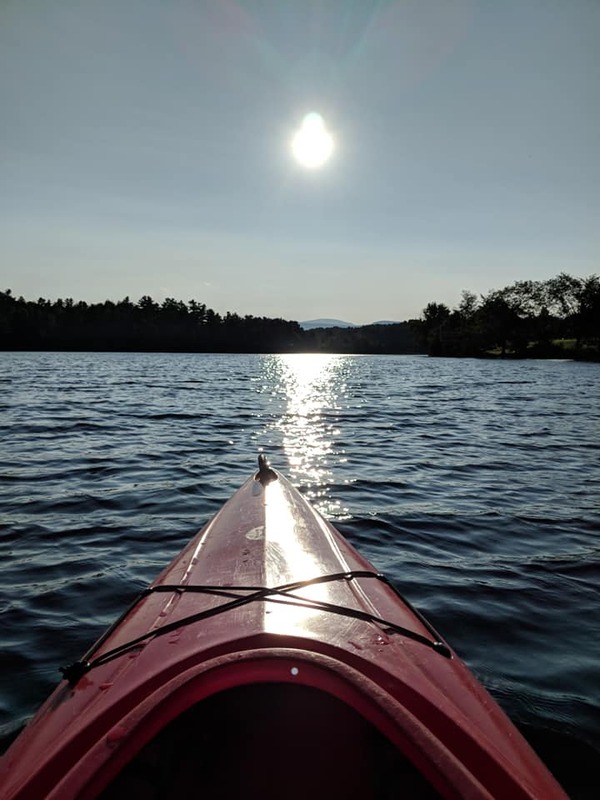 Kayaking with Sunrise Rotary and the Town of Plattsburgh on the most perfect of August evenings! 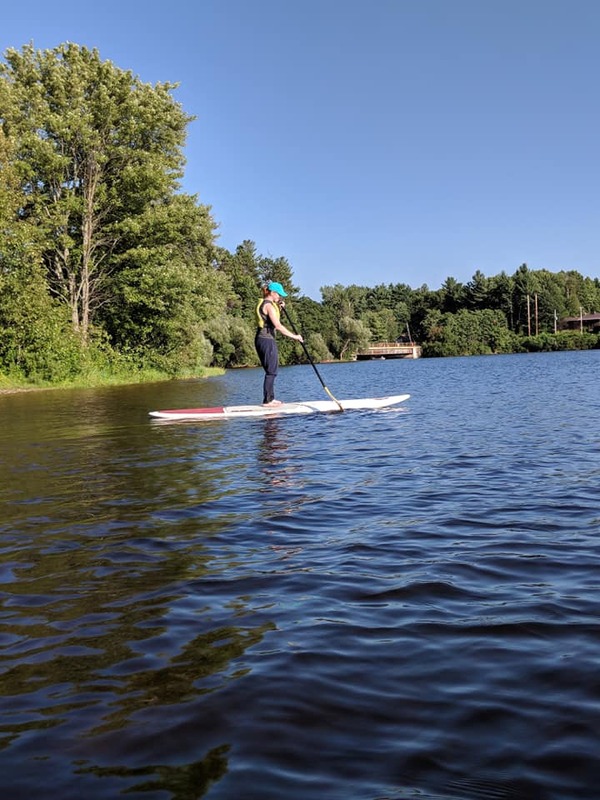 Sue LeBlanc, Libby Hyatt Quéguiner, and I tried SUP for the first time. 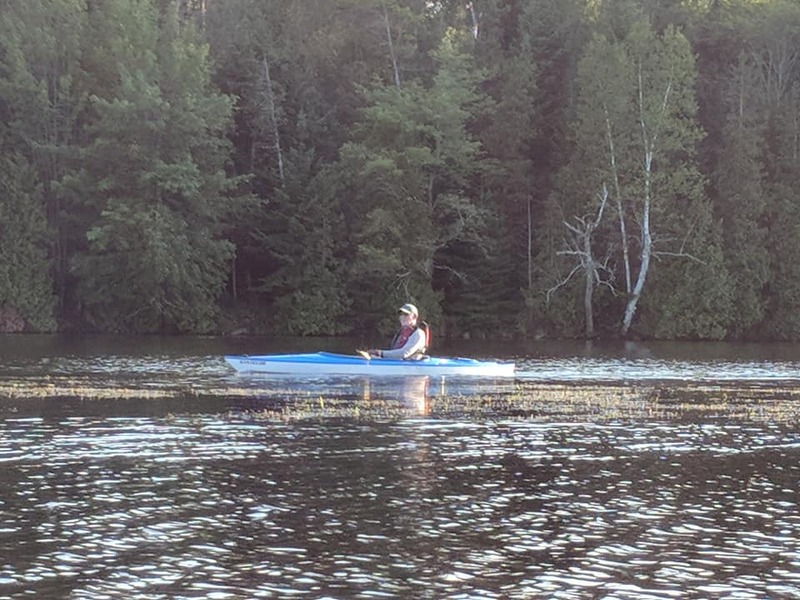 Jerry Kelly paddled around in a kayak! 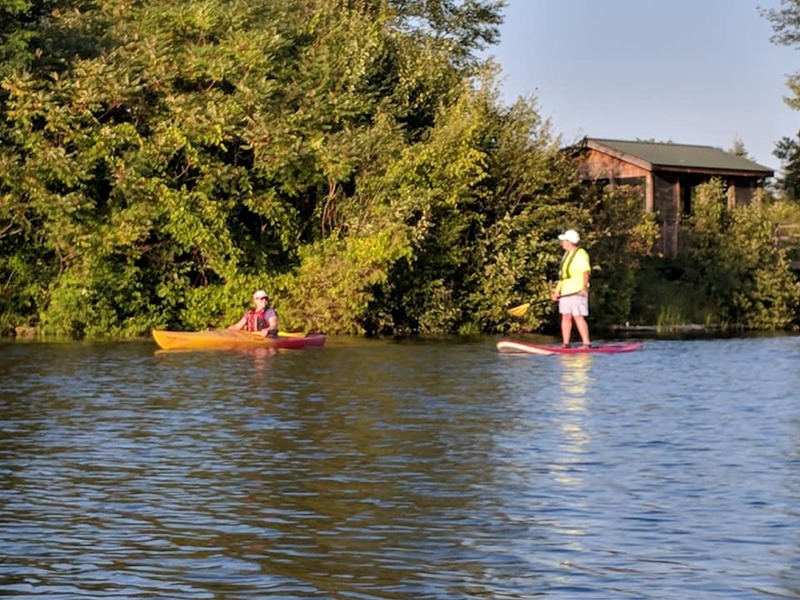 Thanks so much, Erin and Melanie, we are grateful to have a wonderful friendship with the Town of Plattsburgh Recreation Department! It was a wonderful night of fellowship. The City of Plattsburgh Mayor Read graciously welcomed District Governor Martha Weaver to Plattsburgh on July 5, 2018. 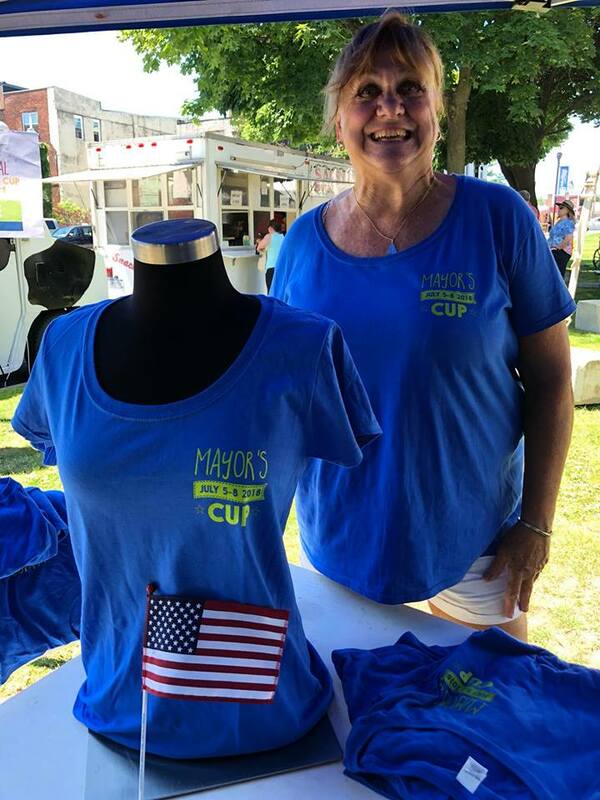 Martha was visiting Plattsburgh on the occasion of the kick-off of the 41st annual Mayor's Cup Regatta & Festival hosted by Sunrise Rotary and the City of Plattsburgh. 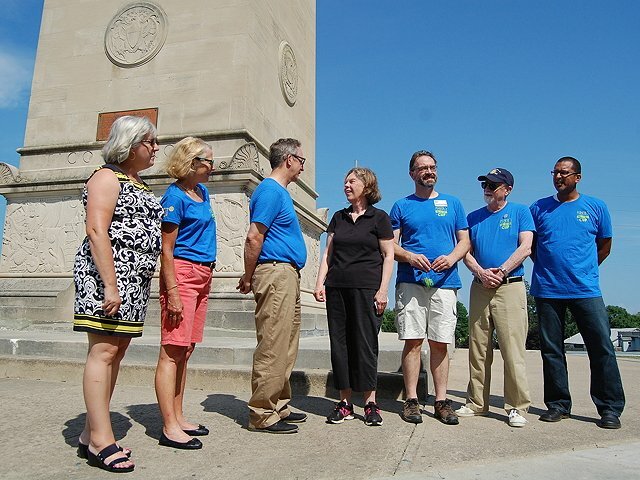 Sunrise Rotary President Doug Kashorek and other members of the Sunrise and Noon clubs were on hand for the welcome ceremony that took place in front of the McDonough monument overlooking the Saranac River and Lake Champlain. 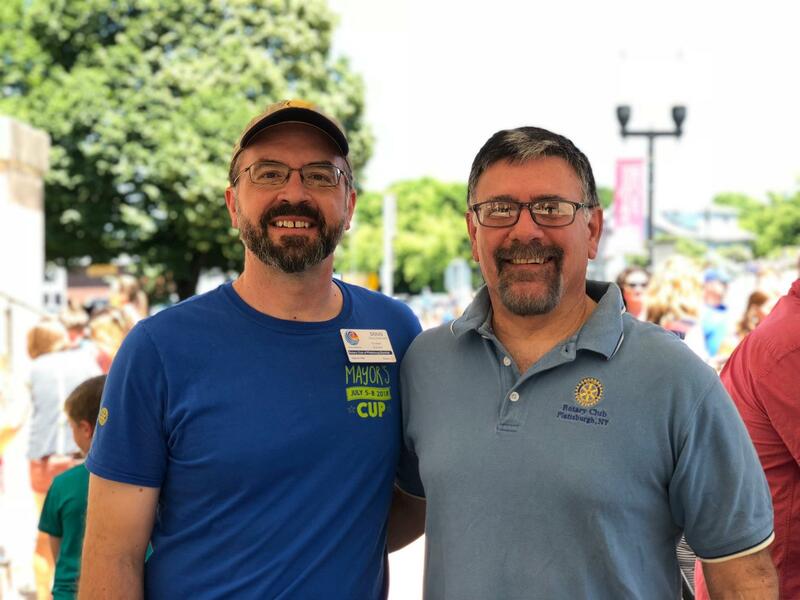 Newly-elected Plattsburgh Rotary Club Presidents Doug Kashered (Sunrise) and Jack Helfgott (Noon) were asked to participate as judges in the City of Plattsburgh's 4th of July 'Champy' Parade. 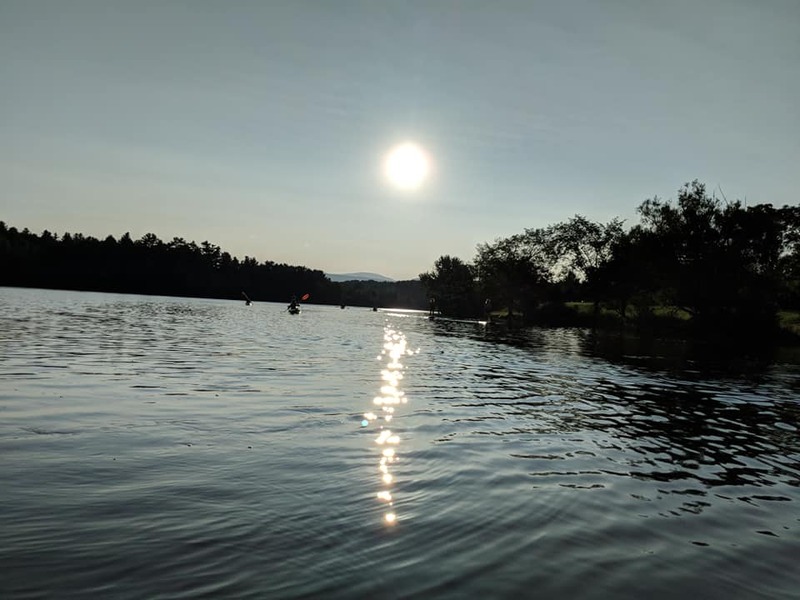 For the past 41 years Mayor's Cup Festival & Regatta has been all about celebrating summer in the North Country and paying special tribute to our beautiful lake. What's New for Mayor's Cup? 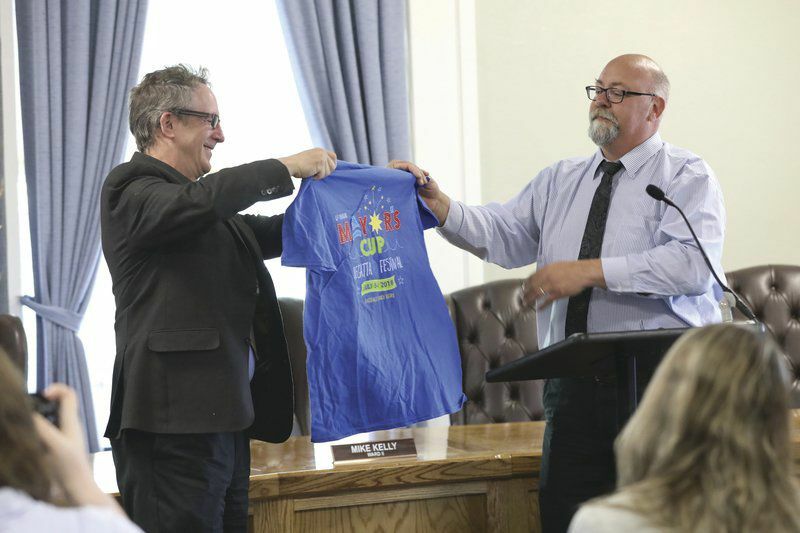 City of Plattsburgh Mayor Colin Read (left) and Sunrise Rotary Club President James Snook unveil the 2018 Mayor's Cup T-shirt design during a press conference at the City Council Chambers at City Hall on Tuesday. This year's festival kicks off the day after the Fourth of July celebration in the city, taking place July 5 through 8. With permission from Maria, I wanted to send out a quick announcement for an upcoming YMCA event. We are holding our 1st annual Camp Jericho Beautification Day, this Saturday June 9th from 11-3. 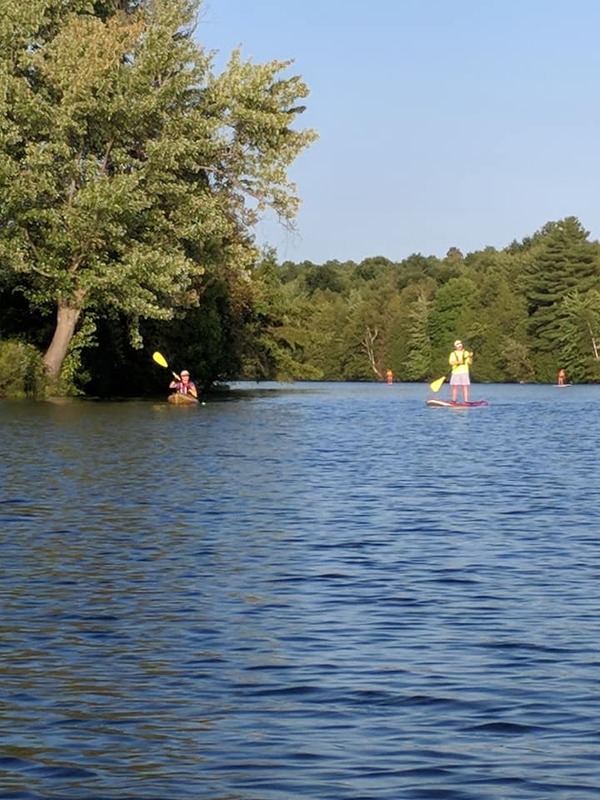 Our wonderful camp that serves over 600 children during the summer months is in need of some well-needed love. We are looking for volunteers from Rotary to come up and help with some projects- painting, trimming, raking etc. Only recently had notice a faded "Rotary Lodge" sign on our main barn at Camp Jericho (see attached photo), and thought it time to re-engage our club with this wonderful camp that many of you know or know someone who has attended. If you are able to make please let me know at jihne@plattsburghymca.org. The event is family friendly and we will also have a BBQ that afternoon. While we have some equipment- feel free to bring clippers and work gloves.